Editors’ note: Marxists continue to debate the nature and trajectory of People’s China — socialism or capitalism? The evidence is contradictory. The speech by President Xi on the Marx anniversary is on Youtube <<https://youtu.be/EN58Cl35xQQ>> with a voiceover in English. It is one hour and 11 minutes long. 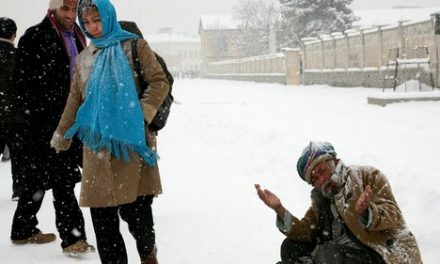 When MLToday.com gets the full text in English we will post it. 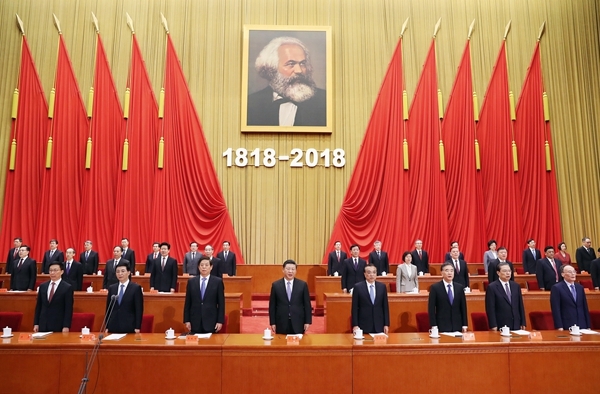 President Xi Jinping, general secretary of the Communist Party of China Central Committee and chairman of the Central Military Commission, speaks during a conference to mark the 200th anniversary of the birth of Karl Marx in the Great Hall of the People in Beijing, capital of China, May 4, 2018. BEIJING — Two centuries on, despite huge and profound changes in human society, the name of Karl Marx is still respected all over the world and his theory still shines with the brilliant light of truth, President Xi Jinping said. Xi, also general secretary of the Communist Party of China (CPC) Central Committee and chairman of the Central Military Commission, made the remarks on May 4 at a grand gathering to mark the 200th anniversary of Marx’s birth. 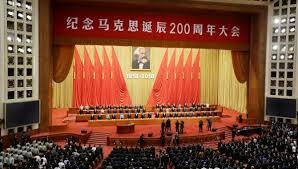 A conference to mark the 200th anniversary of the birth of Karl Marx is held in the Great Hall of the People in Beijing, capital of China, May 4, 2018. Xi Jinping, Li Keqiang, Li Zhanshu, Wang Yang, Wang Huning, Zhao Leji, Han Zheng and Wang Qishan attended the conference. With noble ideals and no fear of difficulties and adversities, throughout his lifetime, Marx devoted himself to perseveringly striving for the liberation of humanity, scaling the peak of thoughts in his pursuit of truth, and the unremitting fight to overturn the old world and establish a new one, according to Xi. The most valuable and influential spiritual asset that Marx left to us is the scientific theory named after him — Marxism. Like a spectacular sunrise, the theory illuminated the path of humanity’s exploration of the law of history, and humanity’s search for their own liberation, Xi said. “Marxism, for the first time, explored the path for humanity’s freedom and liberation from the stance of the people, and pointed out the direction, with scientific theory, toward an ideal society with no oppression or exploitation, where every person would enjoy equality and freedom,” Xi said. Stressing that practicality is a prominent characteristic of Marxism that makes it different from other theories, Xi said Marxism is a theory of practicethat directs the people to change the world. After the end of the World War II, a large number of socialist countries were established, Xi said, stressing that the founding of the People’s Republic of China, especially, has greatly increased the socialist strength in the world. “There might be setbacks in the development of socialism in the world, but the overall trend for human society development has never changed, and it will never change,” Xi said. “Marxism has not only profoundly changed the world, but also China,” Xi said. The reverberations of the October Revolution in Russia brought Marxism-Leninism to China, pointing out the direction forward, offering a brand-new choice for the Chinese people in their struggle to survive, and setting the scene for the birth of the CPC. Since the CPC’s birth, it has combined the fundamental principles of Marxism with the reality of Chinese revolution and construction, transforming the Chinese nation from “the sick man of East Asia” to one who has stood up, by uniting and leading the people through long-term struggle. “This tremendous transformation serves as cast iron proof that only through socialism can we save China,” Xi said. Since reform and opening-up, the CPC has combined the fundamental principles of Marxism with the reality of China’s reform and opening-up, and the nation who stood up has grown rich. “This tremendous transformation serves as cast iron proof that only through socialism with Chinese characteristics can we develop China,” Xi said. “This tremendous transformation serves as cast iron proof that only by adhering to and developing socialism with Chinese characteristics can we realize national rejuvenation,” Xi said.